The Supreme Court today issued notice to the Bar Council of India on a PIL challenging the permission to an individual to perform the dual role of a lawyer and a legislator. The PIL by Delhi BJP leader and advocate Ashwini Upadhyaya says BCI rules bar legislators from practicing as advocates on ground of "conflict of interest". "Issue notice to the Bar Council of India", a bench headed by Chief Justice Dipak Misra said adding let us know their views.We want to know what is their perception of the rules"
He emphasized on the BCI rule that restricts a salaried employee from practising as advocate. Upadhyay said he had submitted a detailed representation to the Bar Council of India seeking ban on legislators from practicing as an Advocate but “it has not taken appropriate steps to ban them till date”. The injury caused to the public because a salaried person and particularly a public servant cannot practice as an Advocate but Legislators are practicing which is violation of Article 14 of the Constitution. Legislators take fee from litigant and salary from the public exchequer, which is professional misconduct, Upadhyay contended. “The legal profession is a noble and demanding one and the apex court has repeatedly frowned upon its practitioners attempting to ride two horses or more at a time,” he said. According to BCI Rule 49: “An advocate shall not be a full-time salaried employee of any person, government, firm, corporation or concern, so long as he continues to practise and shall, on taking any such employment, intimate the fact to the BCI and shall cease to practise as an advocate, so long he is in such employment.” he contended. Upadhyay argued that "MLAs and MPs get salary from consolidated fund of India, hence, they are employee of the State and the BCI rule 49 restricts a salaried employee from practising as advocate." He also contended that under Prevention of Corruption Act, MLAs and MPs are public servants. So, allowing them to practice as advocate and restricting other public servants is arbitrary and violation of right to equality. Upadhyay also says that it amounts to "professional misconduct" when MLAs and MPs, who get salary and other benefits from the public fund appear against the government. "It is an honourable profession but does not remain noble merely by calling it as such, unless an advocate is fully dedicated for this profession. Similarly, legislators are also expected to dedicate their full time to public and their constituents ahead of their personal and financial interests," he said. Noting that the top court in an April 1996 judgment had held that a doctor cannot practice as an advocate before the court of law until he leaves his medical career, Upadhyay said likewise a person should also give up his job as a lawmaker to continue practice. "Legislators are expected to put full-time service to public and their constituents ahead of their personal interests," he said. "Nobility of the profession of law also has to be preserved and protected. Therefore, provisions of the Advocates Act and BCI Rules must be given effect in letter and spirit to maintain clean and efficient Bar to serve the cause of justice." He contended. 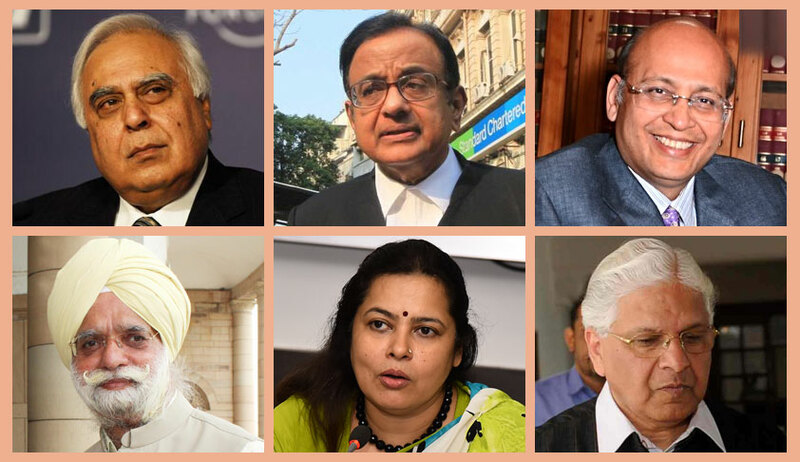 Three of the four members of the sub-committee constituted by the Bar Council of India which acted on Upadhyay’s plea concluded in their report that legislators- MPs, MLAs and MLCs- should not be barred from legal practice. Following this, the Bar Council of India deferred the “final decision” pertaining to the issue to next week for more thorough and wider consultation and discussion. BCI Chairman Manan Kumar Mishra announced this after the General Council meeting of the apex disciplinary body for lawyers Sunday evening which discussed the report submitted by a four-member sub committee comprising of office bearers and advocates B.C. Thakur, R.G. Shah, D.P. Dhal and S Prabhakaran. “Today we discussed the report submitted by the four-member sub-committee. Out of the four houourable members, three (B.C. Thakur, R.G. Shah, D.P. Dhal) were of the view that legislators MPs, MLAs and MLCs can be allowed to practice. One member S Prabhakaran said they should be debarred on the grounds of conflict of interest and office of profit”, Mishra had said. “In this view of the matter, the General Council is of the view that the matter needs thorough consideration being a serious issue. Therefore we have deferred the final decision for the next meeting which will be held next week. It is to be noted that some of the MPs and MLAs to which we had sent notices had sought eight weeks time for replying. That would also expire next week. So it will meet the end of natural justice before a decision pertaining them is taken. Because they should not say in the end that they were not heard before we took a final decision”, said Mishra.